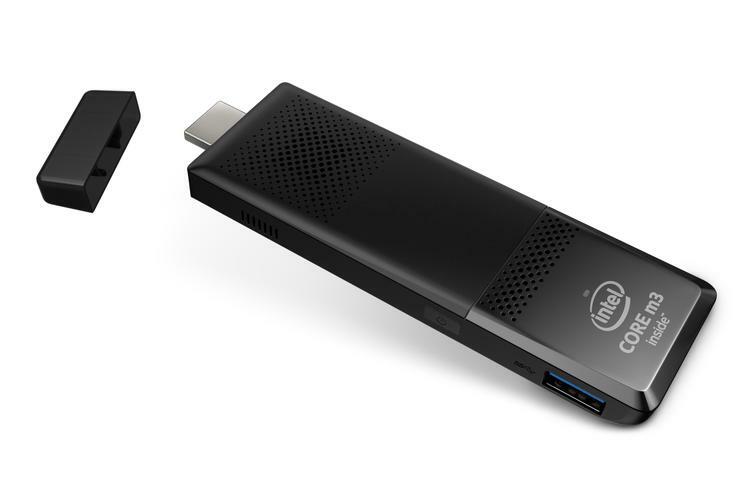 Intel has launched three new additions to its Compute Stick range based on its Core and Atom processors. The company unveiled the three new products at CES 2016 in Las Vegas. The offerings include two models based on 6th generation Intel Core m3 and Core m5 processors, as well as one utilising the company’s Atom processor. The Core m-based processors feature 64GB eMMC storage; 4GB on-board RAM; Intel Dual band wireless AC 7265 and Bluetooth 4.1. The m3 Stick comes with an m3-6Y30 processor, while the m5 version is equipped with Intel’s m5-6Y57 vPro processor. Both models are expected to be in production by February 2016 and will retail for $US399 for the m3 with Windows 10, while the m5 is priced at $US499 with no operating system. The entry-level Compute Stick, the Atom based model includes the Intel Atom x5-Z8300 quad-core processor; pre installed Windows 10; 32GB eMMC storage; 2GB on-board RAM; dual band wireless AC 7265 and Bluetooth 4.0; 2x2 antennas and two USB ports. The Atom stick is currently in production and is set to retail for $US159. No Australian pricing was available at the time of writing.